For the month of April, my partner and I have a fun surprise in store for our fashionista readers! 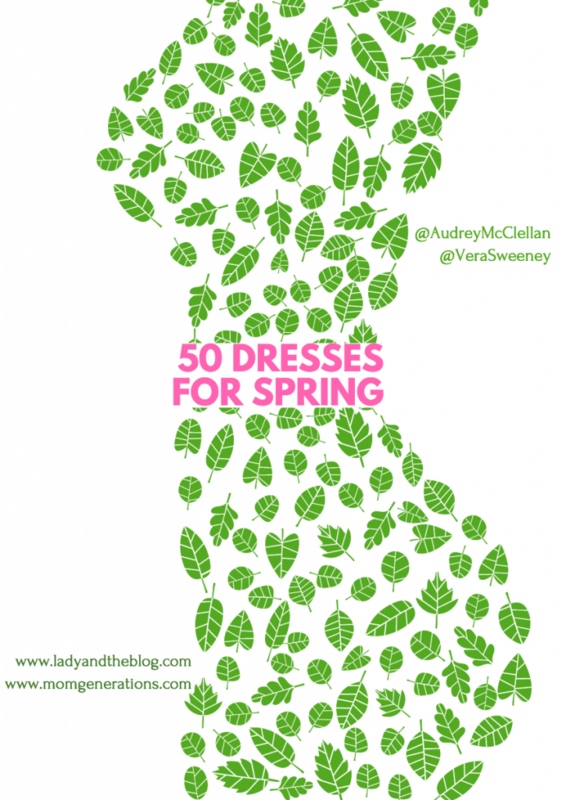 We will be highlighting 50 fabulous dresses to wear for this season and beyond! That’s right! Every single day, Audrey McClelland and I will share a favorite look and tell you where to buy it. I thought I’d start off with this colorful number from ModCloth. 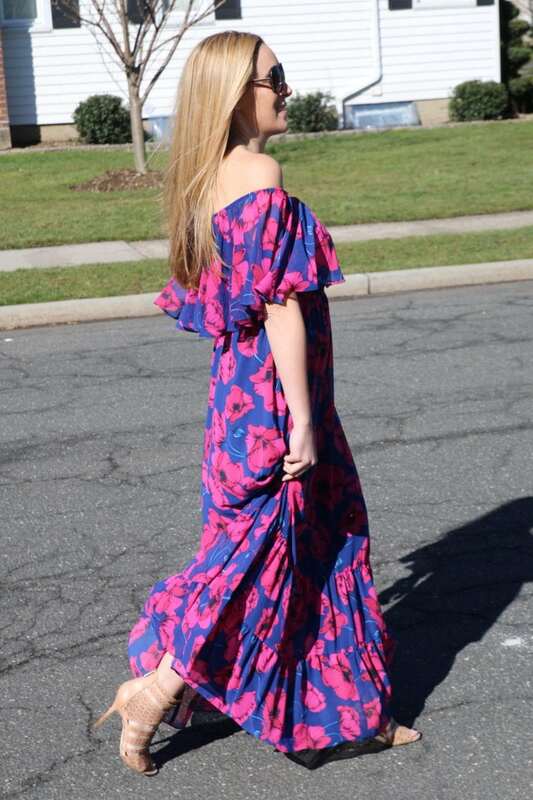 The Fabulous Influence Maxi Dress is bright and bold and hot pink and ALL MINE. I love it!!!! 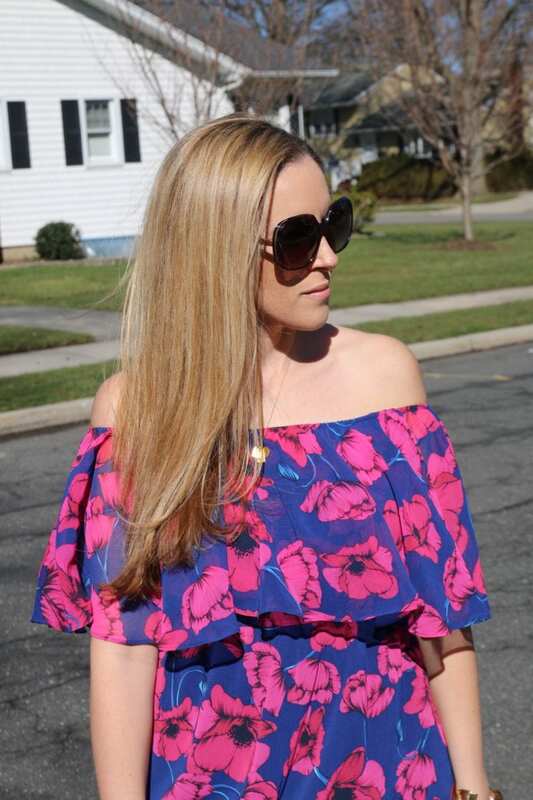 I’ve been hunting for super cute off-the-shoulder looks and I fell head over heels in love with this one. Because it is such a statement dress, I really didn’t think you needed much more than the piece itself. I went REALLY light on jewelry. All I have on is a simple necklace from Tiny Tags and a bangle. Every woman needs a pair of neutral heels. I find that I own several different styles! Neutral heels LITERALLY GO WITH EVERYTHING. You will never go wrong with this purchase. 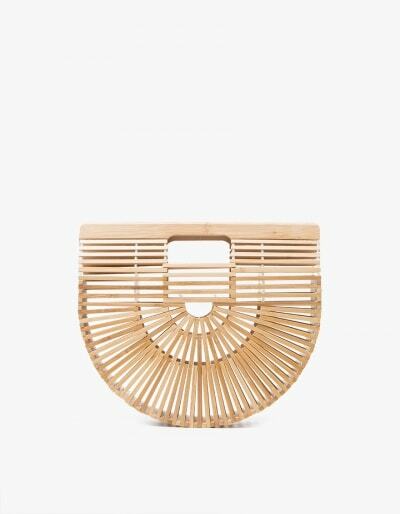 Also, I’m not photographed with this bag, but it would go perfectly with the look! The CULT GAIA Small Gaia’s Ark retails for $88. Stay tuned for more looks from both myself and Audrey! To see what I’ve posted so far in this #50DressesforSpring series, click here. To see what Audrey posted today, click here! I am super short, so that dress would most likely be too long for me, but I LOVE the print on it. I need some new spring dresses. I absolutely love this. I have a couple of off the shoulder numbers like this, but I need to add this one to my wardrobe. It’s so much fun, and I love the print! This dress is so amazing. I love the colors, and you are right. It’s fabulous enough that you only need minimal accessories to go with it. That dress is super cute. I love the bright colors for spring and for summer! This is such a cute look. I’m definitely liking the blue color the floral pattern. This will be a great outfit to bring out on nice days! This maxi dress is so pretty. I love the floral design – perfect for the season. Maxi style dresses are so comfortable to wear and it makes you feel so feminine. Oh, BTW, I love your shoes! I love pink and purple, they are my favorite colors. The combination looks great together, as does that style dress on you! Yes to maxi dresses during the Spring and Summer weather! I so love how comfy it is and stylish too. This is a lovely dress, love the color.